Just when everyone thought that Huawei will beat its counterpart with the first-ever in-display selfie camera smartphone on December 17th, Samsung has pulled itself back. The South Korean major has announced December 10th as the launch date of the Galaxy A8s smartphone, and as expected, it’ll come with Infinity O display. The vendor has shared the poster of the handset in China, which reads the date of the unveiling and shows a selfie camera punched onto the display at the top-left corner. Furthermore, the Galaxy A8s will be the first Samsung smartphone to come with top-bezel completely shaved off. The phone seems to flaunt a chin, but it’s sleeker than the current crop of Galaxy smartphones. Now, it’s safe to presume that the handset will come with a high screen-to-body ratio. The text on the poster (above) reads “Real Galaxy” “insight into the future” (in Chinese), probably hinting towards the new design the Galaxy A8s is going to sport. 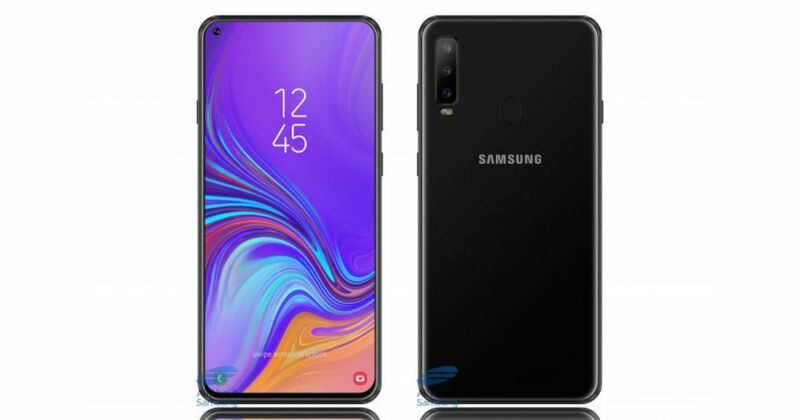 Coming to the specifications of Galaxy A8s, the handset will reportedly sport a 6.36-inch AMOLED display – manufactured by BOE. The screen’s resolution and aspect ratio are not known at the moment. The handset is expected to have Qualcomm’s upper mid-range Snapdragon 710 chipset ticking at its core. The phonemaker is likely to ship the device with 6GB of RAM and 128GB expandable storage. Camera-wise, the Galaxy A8s has been rumoured to arrive with triple rear cameras. The setup is expected to be 25-megapixel + 5-megapixel + 10-megapixel mated with LED flash. For selfies, the device is expected to flaunt a 23-megapixel shooter on the front. A 3,400mAh battery is likely to fuel the device. Powering the Galaxy A8s could be Android Pie-based OneUI, which is Samsung’s latest custom skin. Lastly, if rumours are to be believed, the phone will ditch the 3.5mm headphone jack.